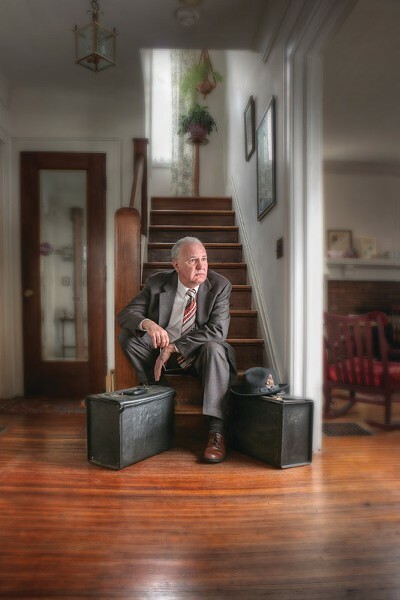 Blackfriars Theatre's is closing its 2016-17 season with the classic "Death of a Salesman," a "relevant, relatable, and timeless" story, as Director Brian Coughlin says, about old Willy Loman, a shoe-shining salesman with too many shortcomings to count. The drama by Arthur Miller, first performed in 1949, follows the tragic hero with an "American Dream" and the road he takes to get there. The Pulitzer Prize-winning play will feature David Munnell as Willy, David Andreatta as Happy, Patricia Lewis as Linda, and Danny Hoskins as Biff. "Death of a Salesman" will be onstage Friday, May 5, through Sunday, May 21, at Blackfriars Theatre, 795 East Main Street. 8 p.m. on Fridays and Saturdays with the exception of Saturday, May 6, 7 p.m.; Sundays at 2 p.m.; 7:30 p.m. on Thursdays. $28.50-$36.50. 454-1260; blackfriars.org.